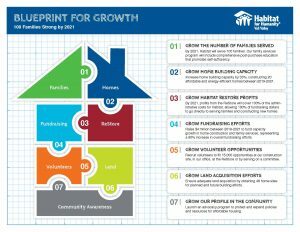 Habitat for Humanity Vail Valley’s three-year strategic plan will help us further our mission to build strength, stability and self-reliance through affordable homeownership. The plan runs through December of 2021 and centers around increasing the organization’s home building capacity by 33%. Learn how you can help us meet our goals!